The foresight study aimed at exploring what technological solutions and social innovations for ambient assisted living (AAL) can offer widest coverage in a demographically-challenged rural area such as the Mühlviertler Alm (Upper Austria). To increase the acceptance of the identified findings among the local population and the success of the implementation of the AAL solutions in a potential follow-up project (e.g. as a model test region), strong emphasis was put on the integration of potential users and other stakeholders throughout the whole study. “WEGE2025: Our ways to an age-appropriate region 2025 – Living independently in the Mühlviertel” as part of the Austrian national funding programme “ICT of the Future: benefit – Demographic change as a chance” (project no. 846222). For the last decades life expectancy has been increasing continuously throughout Europe due to improvements in life conditions and healthcare. Meanwhile, the share of elderly people (aged 65 and over) among the total population has reached an average of 18.5% across the EU-28 and 18.3% in Austria (EUROSTAT 2015). For 2050, it is expected that these numbers will double. This demographic change often goes along with changing family structures (e.g. reduced family sizes with fewer potential family carers for the older people at hand) and limited numbers of available local care facilities. Consequently, new and innovative solutions are necessary to ensure an independent living of the elderly in their own home for as long as possible. Intelligent technical solutions have a huge potential to meet the upcoming healthcare challenges of aging societies and become an important pillar in the personal healthcare and care of elderly people in the years to come. Active and Assisted Living (AAL), an emerging multi-disciplinary field, specifically aims at providing technical aids and technology-assisted services to the elderly as well as care givers by exploiting information and communication technologies (ICT). However, the overall success and acceptance of AAL systems in practice will crucially depend on how well the new technological solutions can address the needs of the elderly and maintain or improve their quality of life. Therefore, it is vital to know the specific needs of the elderly in their respective living environments and how innovative solutions can be tailored to both the needs and the living environment. So far, AAL solutions have mainly been developed for users with a focus on specific indications, independent of their place of residence and hardly ever for an entire region. In particular, for rural areas there are hardly any visions on how to improve the attractiveness of the region for an independent life for senior citizens and their needs in their third and fourth phases of life. Rural areas and the people that are growing old there have to cope particularly with the rural depopulation of young people and are confronted with a general decrease in public utility infrastructure. The Mühlviertler Alm is an association of ten municipal communities situated in the north-east of Upper Austria. Agriculture is the predominant economic sector. Each community consists of between ten and 20 villages, each of which consists of a densely populated village centre as well as numerous individual, scattered farmsteads far from the village centres. Consequently, the region is characterised by long supply routes and require high mobility in the daily life of the residents. The Mühlviertler Alm is currently undergoing a process of demographic change. An increasing number of elderly people is opposed to a decreasing share of younger people. The highest pressure is expected in the coming decades when the baby-boom generation retires. At the moment, about 18.000 people live in the region Mühlviertler Alm. Some 4.000 of them are already older than 60 years. Until 2030, it is expected that this number will rise by 50%. Active and independent aging is an important topic in the region. Since 2010, the communities have been actively facing the demographic change with local projects. They consider the demographic change a chance for a new social interaction. The project WEGE2025 analysed what AAL solutions can offer the widest coverage in a rural area such as the Mühlviertler Alm. The major question was therefore what AAL technologies and social innovations can be implemented for a maximum of end-users and will also be applied by secondary users, such as managed care organisations. As a result of the project, the region Mühlviertler Alm is expected to become a model for the future development of a test region for active and assisted living solutions. A major focus of the project was on the methods used for the exploration of AAL test regions. While ongoing test region projects in Austrian are mainly technologically driven, the WEGE2025 project pursued an interactive stakeholder approach. Within a comprehensive future-oriented stakeholder process, both project partners, AIT and Verband Mühlviertler Alm, together with some 100 stakeholders (end users, medical staff, and providers of services in the general interest and other stakeholders) from the region worked together to explore future needs for an attractive life during old age and to assess by means of scenarios, a roadmap and a vision of the future the potential for implementation of the suggested solutions in real life. The interactive approach included personal interviews and large group settings (workshops) with stakeholders and was preceded by a qualitative background research. This project provided the unique opportunity to include a whole region in the preparation for a test region and to make allowance for the needs and views of their residents on active and independent living and aging. This approach should increase the success and the participation rate in the follow-up test region. With respect to the potential implementation of AAL solutions in the region, the interviewees expressed reservations as regards technologies in general and pointed out the lack of suitable infrastructure (e.g. poor mobile phone coverage, lack of access to high-speed broadband services). To identify the needs of the elderly in the region and to define the requirements for AAL solutions, a foresight exercise was implemented. In four workshops, potential end-users, representatives of companies, for services of general interest, and research organisations discussed together what it needs to be able to lead an independent and age-appropriate life in a rural region such as the Mühlviertler Alm. For the development of a common vision of the Mühlviertler Alm for 2050, the workshop participants worked in small groups on the fields of action as well as on additional “disaster” fields of action and drew together representative pictures. 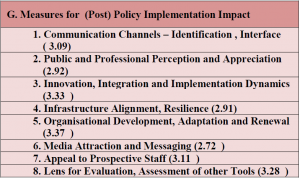 In follow-up discussions, objectives were derived for each field of action and prioritised. A visual facilitator compiled the most important objectives in a new picture, which now depicted the common vision 2050 for the Mühlviertler Alm. The project team subsequently added to the scenarios the trends and drivers that had been previously identified by the workshop participants. Some volunteers among the workshop participants worked out the central turning points of each of the scenarios and presented them by means of improvisation theatre to the plenary audience. Based on the visual and emotional impressions that the theatre play created in the audience, further objectives were derived and discussed within the frame of four key topics: health awareness, services of general interest & coordination office, diversity & inclusion and change process (politics & infrastructure). As a result, for each key topic up to three main objectives were selected. The necessary actions for their implementation were defined and the most relevant actors singled out. These sets of measures were placed along a timeline and compiled to a roadmap according to the estimated time of implementation. In the fourth stakeholder workshop these topics were taken up and defined more specifically concerning objectives and contents in action plans. By means of “collaborative mapping” all relevant services and actors of the region that could be relevant for a follow-up project were gathered and visualized on a map. Remaining mobile even in old age is of uttermost importance in rural areas that are characterised by long-distance ways for daily routines. Mobility is often also a prerequisite for social inclusion of old and impaired people and participation in social life. There is a need for a wide variety of individual transport for elderly and impaired people. Transport services need to be flexible in terms of booking services and availability, e.g. with short waiting times. Building up a network of transport service providers is therefore essential. Information on the availability of barrier-free busses, their timetables and existing boarding aids and wheelchair accessibility on vehicles as well as shared taxis for quick and flexible trips (e.g. to physicians or for leisure time activities) could be provided via mobile apps and ICT-supported lift-sharing exchange. All offers could also be collected on a simple internet platform for mobility offers. The local communities want to have access to and be able to exchange information in the best possible way. For issues concerning care and nursing, a coordination office (e.g. for multi-professional services) would ensure an optimal information transfer to the public, when needed. The office should be located centrally and could also serve as a hub for telemedicine services. A web-based platform could constitute another source of information for the population. It can serve as a market place for supply and demand of various sorts, e.g. meetings for senior citizens, midday meals organised as social events, or other cultural, sportive leisure time activities. Such an events calendar ideally embeds functions for registration for the events as well as for mediation of shared lifts in private cars or shared taxis and buses that offer also transportation of wheel-chairs, etc. It can also provide information and booking facilities for mobile care and nursing services, experts and delivery of goods. A crucial prerequisite for the acceptance of such a platform is the simple operation and intuitive handling of the platform by the users. Establishing structures which ensure the care and medical surveillance / monitoring of health data and alarm functions for threatening deviations is also important for the region. Such structures would particularly help people with chronic diseases to live longer in their own homes. To benefit of telemedicine services it will be important to develop a system that integrates already existing measuring devices such as blood pressure monitors, blood glucose meters or warning devices in case of falls. Simple operation of such telemedicine devices is again the key to widespread use. Tying in with the idea of a coordination office the residents of the region also wish for immediate help in emergency situations. A competent medical phone service with decision-making competency that is available around-the-clock and linked to a medical care network could be based in the coordination office and compensate for physicians off duty. Autonomous living with comprehensive care in one’s own home is of major importance in the region. Medical care should be available across the region and flexible enough to cater for the needs of the residents. There is also need for social networks of neighbourly help, including support for household tasks and help in the garden. Supply of everyday goods should be ensured by means of service providers that could be contacted via mobile app. In addition, homes should be “smart” and provide a system of automatic components, such as door openers, automatic night lights, fall alarms, as well as assistance systems for automatic notification of attendants in emergency situations. IT professionals and other service providers should be available in the region to ensure installation, maintenance and repair work when needed. This foresight brief is based on the final report of the Project WEGE2025. “Personal Health Systems Foresight” was launched as part of the 7th EU Framework Programme to explore options for integrating Personal Health Systems (PHS) into the health care system and to investigate framework conditions required for the Europe-wide introduction of PHS. Furthermore, the project wanted to initiate a mobilisation of the innovation landscape, increase networking, and develop strategies to promote PHS across Europe. Rising costs, an ageing population and a shortage of health care professionals are only three of the numerous challenges Europe’s health system has to face. Personal Health Systems (PHS) promise more individual, effective and efficient health care as they assist in the provision of continuous, quality controlled and personalised health services. PHS are technical aids which gather, monitor and communicate physiological and other health-related data via stationary, portable, wearable or implantable sensor devices. Individual treatments or nutritional advice can then be provided virtually anywhere. Furthermore, PHS technologies can provide new business opportunities and can mobilize novel cross-disciplinary and -sectoral innovation partnerships. of new technologies into the health care system. However, most of these projects are limited to small-scale applications and do not situate PHS within the wider health and social care service systems as they were mostly driven by a technology push. The EU project “Personal Health Systems Foresight” wants to fill this gap by looking at the integration of PHS into the health care system from a more holistic view. As a first step of the project the team conducted a set of analyses in order to get an overview of the PHS area. These include a bibliometric and a case study analysis to gain information about the present state of the topic, a patent analysis in the field of PHS, and a social network analysis to visualize R&D collaboration networks and central actors in the area of PHS on the European level. Additionally, the project partner developed an online platform in order to generate and cluster visions on related innovations and societal challenges. On the basis of the results from the analyses and the online consultation process, two stakeholder workshops were organized in order to explore the pathways for desirable future developments. 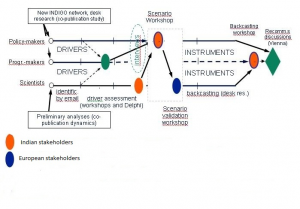 The applied method was the “success scenario” technique, which is described in the following by the example of the second scenario workshop for the PHS foresight, held in Manchester in February 2014. The “success scenario” method can be regarded as a mixed form of conventional scenarios and roadmapping. The latter is often a process that extends upon several workshops and produces highly detailed information relevant to one specific goal. 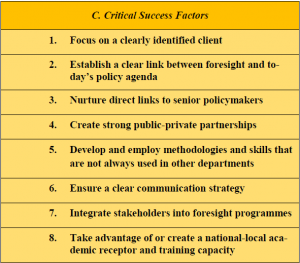 In comparison the success scenario approach usually speeds things up by creating a less structured pathway. It identifies a plausible and desirable course of development, the steps required to receive it and the indicators of progress in the right direction. developing action points and setting priorities. In this sense the second stakeholder workshop as a core element within the PHS foresight (figure 1) developed elements of a vision for PHS in the year 2030 through a series of steps, in which major dimensions of change, indicators that might be used to assess progress towards desirable outcomes, and actions and strategies to facilitate PHS development in desirable directions were considered. The attainable future could thereby vary across different European countries. a) chronic conditions, b) active independent living, c) acute conditions, and d) healthy lifestyles. These groups discussed what might constitute the success scenario and what specific outcome indicators could be appropriate to illustrate it. The indications from the BOG discussions were further analyzed and refined by the participants, this time in plenary. The resulting list of indicators is presented in table 1. Note: The percentages in parentheses after several items are the views of that group as to the extent to which this indicator is liable to have developed by 2030. The five BOGs then identified issues related to the implementation of PHS in the health care system and finally considered strategic actions relevant to different stakeholders, in the light of these issues. Strategic actions in relation to interoperability, standardisation and regulation include for instance harmonisation of healthcare systems regulations, interoperability of IT systems, development of common dictionaries and use cases, standards development, legislation for data security and data access. 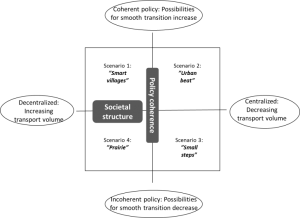 Actions in relation to developing a PHS innovation eco-system include the coordination and collaboration among a variety of actors in the research, and business communities engaging also societal actors by applying user-centred innovation approaches. Creating a PHS market with wide accessibility and affordability requires the establishment of market and competition mechanisms and regulations, procurement, development of plans for stage-gated deployment of reimbursement models. Establishment of value chains from priority setting, selection of technologies, to manufacturing and implementation is important and the production of user-friendly and cheap products and services is relevant. Strategies towards raising social awareness and increasing PHS skills involve actions like educational programmes to introduce PHS systems to professionals and informal carers but also schools, setting up PHS help and advice lines, or incentives to educational institutions to develop PHS strategies and programmes. PHS research should target to demonstrate PHS benefits and certify PHS products and services. Demonstration of benefits could be done through creation of modelling labs for PHS applications, or building a catalogue of what is available, what is being developed and what needs to be developed through a gap analysis and towards the jointly defined PHS vision. Longitudinal health studies, health economics and cost-effectiveness studies could be deployed along with health technology assessment. Finally, PHS research should also deal with big data analysis issues while being oriented towards developing customised, user friendly and certified applications easily accessible online and offline. The target groups should be patients, as well as informal carers in the first instance; at later stages the whole of society should be addressed, as there is a need to shift from a reactive to proactive healthcare approach promoting healthy living. The role of EU institutions could be important in supporting PHS research, as well as in providing platforms for disseminating results helping to draw the lessons from both success stories and failures. In summary there was a general consensus among workshop participants that PHS can contribute to improved health outcomes as well as increasing the efficiency of health services. The process of implementing PHS will involve numerous stakeholders in order to build what participants described as a PHS „innovation eco-system”. It will be important to recognise the interests of different stakeholders in order to avoid a decline in health outcomes, to maintain and extend the equity and social inclusion elements of health systems, to stimulate the development of innovative and effective health interventions and medical technologies, to maintain professional competences and social status, to reward entrepreneurial behaviour, and to use and protect personal data. Meeting these challenges will require experimentation, dialogue, and monitoring of change. Major aspects of change range from the creation of new business models and partnerships between different kinds of organisations, through stimulating the acquisition of new skills and the emergence of new professions in health and health-related workforces. It will also be important to put regulatory frameworks into place that can allow for informed acceptance of evidence-based solutions. 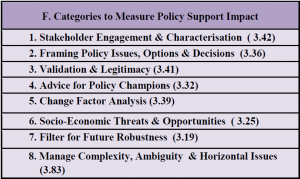 In all of these aspects of change, public attitudes will need to be taken into account, since citizens are crucial stakeholders in these processes. Further development of visions of the desirable futures that can be achieved, and awareness of the problems that may be encountered and the ways in which these may be addressed, will be necessary in the future. The PHS foresight and the results from the success scenario workshop can be regarded as one step in the direction of adopting a holistic and combined approach in understanding PHS and establishing and sharing visions of the desirable futures that can be achieved through the implementation of PHS into the European health care system. Amanatidou, E., Miles, I., Saritas, O., Schartinger, D., Giesecke, S., & Pombo-Juarez, L. 2014. Personal Health Systems: A Success Scenario. Personal Health Systems Foresight. The foresight programme was part of a broader joint project, which had an overall objective to enhance innovation-driven sustainable economic development of the Antofagasta region. The main purposes of the foresight project were 1) improving the foresight capability in the region, especially for the partner organisations, 2) enhancing collaboration between the industry, government and research organisations and 3) supporting the creation of a strategic research agenda for the region on a topic chosen by the partner organisations. In March 2008, various public and private actors signed the “Pact for Regional Development and Innovation in Antofagasta Region” answering to the challenge of regional economic development. The main objectives of the agreement are to generate economic growth and equality, generate better jobs, and pave a path towards a sustainable development in the region. Those who signed the pact recognize that this can be achieved only by increasing human capacities in the region, particularly in organizations that support research, development and innovation activities. Chilean Foreign Ministry selected Finland as one of six countries to be studied in the “Like-Minded Countries Project”, which started in 2005. Especially the transformation of the Finnish economy from a resource-driven economy into knowledge-driven economy was considered a source of inspiration to Chilean national and regional aspiration. Chile considers Finland as a prime global example on how resource-driven economies can develop into knowledge-driven economies when development strategies and policies are correctly selected. Eventually Chile will exhaust its natural resources, as did Finland, in the case of copper. Antofagasta region will need to develop significant alternative industries. In addition to the structural economic shifts, Antofagasta Region is an extreme risk area for ecological changes. Global climate change and contamination from the mining activities have had a high and lasting effect especially in the regional water supplies. Melting glaciers and overuse of groundwater will require a significant redesign of water use and many other aspects that affect the environment. However, responding to the challenges, the region will need to rely on foreign expertise. Capacity building in the field of institutional leadership and knowledge management, innovation culture, and innovation capabilities. Create self-sustained innovation capacity at CICITEM. Capability to create strategic vision for the re-gional innovation activities and facilitate joint innovation activities in the mining cluster. Foresight activities were an integral part of the project. They were aimed to increase the foresight capability of CICITEM and other regional actors by conducting a collaborative foresight exercise between industry and regional stakeholders and demonstrating how fore-sight can promote regional co-operation. The activities included gathering training material, designing fore-sight approaches suitable for the region, holding a foresight training and conducting a foresight pilot called “Water in Antofagasta 2040”. The foresight activities consisted of two parts. The first was a hands-on training on futures thinking and the methods of foresight. This was done as a three-day workshop in Antofagasta. A learning package with glossary was distributed beforehand to the participants, and a website was set up to facilitate communication and exchange of information. The workshop included brief presentations by VTT experts on key methods such as scenarios, roadmapping and Delphi, as well as exercises, where the participants had a chance to briefly test the methods with key issues of the region. The workshop ended with a group work of planning a foresight project that could be implemented in the region. Based on the group work results a topic of “Water in Antofagasta 2040” was chosen for a foresight pilot project in a planning meeting between VTT and CICITEM. The topic was chosen based on its importance and relevance for different stakeholders. In addition to planning meetings, the activities of the foresight pilot project included scenario and roadmapping work that consisted of a conference, two stakeholder workshops, a stakeholder survey, interviews with mining companies and a reflection discussion with the CICITEM experts. VTT experts provided guidance and support for the process, but the main emphasis was on learning by doing for the CICITEM experts. In addition to people from VTT and CICITEM, the process also included researchers from the local universities, representatives from local SMEs, government officials and mining companies. Although the foresight activities were mainly aimed at increasing the foresight capability in the region, they contributed also to the creation of new knowledge about alternative futures and to the networking between key actors in the regional innovation system. Based on the process and existing foresight literature, we developed a multi-layer framework for analysing these contributions of the process. The layers describe the level in which foresight contributes: landscape, innovation system, organisation and individual. We describe the main findings from the process using the layers as a structure. Although the overall focus of the project was on enhancing the innovation capacity of the Antofagasta region, it was important to understand the developments in the global level: how the region is connected to the rest of Chile and the world, how global developments influence the region and how that might change. The aim was to help the participants to see the region as part of a larger, global system and come up with the pathways to increase the capacities of the region to find its niche in the global market. The foresight activities were part of a larger process which aimed to enhance the innovation capacity of the region. Their role was to support the joint strategy formulation and the creation of a shared vision for the region. During the process different perceptions to the proposed foresight project topics were explored through stakeholder analysis. Anticipating the different expectations of stakeholders helped choose a suitably controversial topic that would be interesting and beneficial for all the stakeholder groups, which in turn would aid in committing the stakeholders to the foresight process. CICITEM researchers were closely involved in the design and implementation of the foresight activities. This resulted in new ideas about the role of CICITEM and its mission. As the organisation was fairly small and young, the foresight pilot project influenced the social dynamics within the organisation. Not every researcher at CICITEM saw the benefit of the project and some were reluctant to participate. Thus there was a risk of creating an “in” group of persons more heavily involved in the process. What is needed in a situation like this are “bridge builders” between the “foresighters” and the “reluctants”. This is a good example of how a foresight process is connected to the organisational dynamics, even though the focus might be on enhancing the innovation system. The foresight activities aimed to give the skills to do foresight via “learning by doing”. This includes the specific methods, but also experience in scoping, designing, implementing and documenting the foresight process. A CICITEM researcher commented during the final reflection, that he learned how to bring the ideas high up in the sky down to earth and make them actionable. In addition to specific skills and methods, the process enhanced the capability for future-oriented thinking by challenging existing worldviews and mind-sets and understanding others’ viewpoints and perceptions. For practitioners designing and conducting foresight the layers provide a checklist on the effect and influence of foresight. In our experience the layers help design foresight exercises that 1) are relevant and interesting to the individuals involved, 2) contribute to the capabilities of the organisation, 3) shape the system to enable the desired future and 4) capture the most recent advances and create new knowledge on the topic. We especially want to emphasise the individual layer, since effects of foresight are often not thought about on the level of individuals participating in the process. However, individuals are the key to creating a change within an organisation and subsequently on the innovation system. This can be a consequence of changing mindsets and worldviews through learning. The layers emphasise different foresight contributions. On the landscape and system layers there is a bigger emphasis on the knowledge produced, whereas the individual and the organisational layer put more emphasis on the capabilities gained during the process. This is because the focus of knowledge is usually on the developments in the operational environment and the users of that knowledge are individual members of an organisation. Therefore the content and effects of the foresight exercise gain more attention on the innovation system and landscape layers, whereas the learning i.e. gaining of capabilities during the process is seen as important especially on the organisational and individual layers. Foresight, however, contributes to knowledge also on the individual layer and to capabilities on the landscape layer. On the landscape layer the capability of the society as a whole to adapt to changes might be enhanced by foresight. On the individual layer, the knowledge produced is tied to the learning process and may include the translation of alternative futures to own worldviews, reflection on the perspectives of other participants and the interpretation of trends and weak signals to the day-to-day life. The layers thus provide alternative views to the knowledge, capabilities and relations created in a foresight project. A foresight process might have different emphasis on which layer is seen as the most important, but often foresight contributes to all layers, either by design or unintentionally. However, what is more important than the individual layers is the movement of focus across the layers. Looking at the layer “above” and ”below” aids in understanding what the layer consists of and what it is a part of. 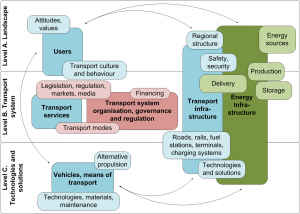 For example, an innovation system is embedded in the inter-systemic developments of the landscape layer, and consists of different organisations, which in part consist of individuals. The layers demonstrate that there is more to foresight than just the immediate tangible outcomes. A successful foresight process might change the capacity of an organisation or a community to anticipate the future and through that even create a regional transformation. VTT & CICITEM, 2015. Desafios de innovación en la Región de Antofagasta / Innovation capacity in Antofagasta Region. Dufva, M., Könnölä, T. & Koivisto, R. 2015. Multi-layered foresight: Lessons from regional foresight in Chile. Futures, 73, 100-111. The Austrian Material Foresight study was carried out in order (a) to underline and strengthen the awareness by the most important stakeholders for materials research and materials production in Austria, (b) to initiate and support innovative actions in structural material developments, and (c) to open new ideas and concepts beyond the already supported topics so that the research site and manufacturing base in Austria receive more foundation. The Austrian manufacturing industry has been faced with off-shoring of production sites, low growth rates in Europe, limited availability of raw materials, and increasing costs of resources, with a simultaneous dumping on the domestic market. All these factors have been accompanied with changes in the value system of the society and with stricter legal regulations in recent years. To avoid these obstacles, a stronger focus on research and innovation is required. Traditionally the Austrian economic power depends on the production and processing of materials, and a big share of the value chain is influenced by materials technology. Materials belong to the so called “enabler technologies” and lay the basis for innovations in automotive, aviation, machine engineering, ICT, medical technology and many other industries. Especially the steel industry plays a key role in Austria, represented through a highly specialized foreign trade with a focus on machines, production facilities and vehicles. Identification of key factors and drivers for the progression of the materials industry and materials research in a national, European and global context. Characterization of robust trends in the materials industry and research. Illustration of Austria’s special role in future materials industry and research. Building a basis for the co-creation of future European materials industry. The Austrian Society for Metallurgy and Materials (ASMET), the Montanuniversität Leoben, and the AIT Austrian Institute of Technology GmbH designed and accomplished the project “Materials Foresight” for developing scenarios for the manufacturing bases in Austria. The challenge was to address all four structural materials such as steel, non-ferrous metals, polymers, and ceramic each regarded together with their composites for high-tech technologies along the whole value chain. 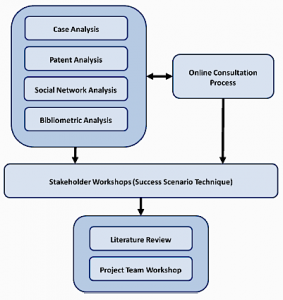 The methodology for the project (see figure 1) was based on the organizational structure with the core project team, the advisory board, the expert team, the procedure for the whole project and the process applied in the workshops, and the involvement of a broader community via conference and the media. The work was organized in three phases. Figure 2 presents the main tasks in each phase. It shows the development of future scenarios as the core of the process, accompanied by an environmental analysis, by constructive discussions with the advisory board, and the future conference and constitutive work with stakeholders. The preparation phase contains the collection of future trends and challenges within an environmental analysis. The Austrian situation with terms of implementation, the results of a roadmap of high performance materials, the participation of Austrian institutions in the seventh EU Framework Program, and the current national funding program on intelligent production (FFG Funding Program Production of the Future) were described and key factors were identified. To structure the key factors of the project team works with a STEEP analysis. 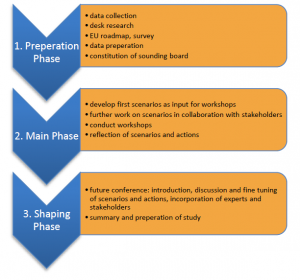 Based on the results of the preparation phase, the scenario workshops are designed. In the main phase, scenario workshops on steel, nonferrous metals, polymers, ceramics and their composites were conducted together with representatives from the materials industry, materials science, the economic chamber and clusters, and the government. 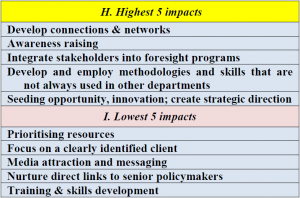 The previously identified key factors with the highest value for influence and uncertainty were chosen for the projection process, where the workshop participants in smaller groups worked out the projection of the selected key factors for 2030. For each materials group, the future products and the research topics were derived from the scenarios. Additionally, measures necessary to achieve the future perspectives were suggested by the participants of the workshops. In the shaping phase, the results of the workshops were analyzed and summarized in order to prepare for the discussion with experts in the first Austrian Future Conference on Materials. More than 300 participants of the conference were informed and attended discussions, which helped to disseminate awareness, results, and new ways of thinking. A press conference aimed to create awareness of the problems and results in the media. In a last meeting with the advisory board and some further experts a plan for the next steps was worked out. The assessment of the key factors as a summary of all four materials fields shows that energy (in availability and hence in price) is the most important factor for the materials industry. The cost effective availability is the second most important factor, which influences research and production of materials technologies. Rank three is a political issue, namely the public support in research. The next important factor is the value development of society. The values of a society have thus a big influence on the materials technologies. The fifth rank goes to economic growth, followed by factors like environmental legislation, qualification, financial market, globalization, and production and manufacturing. The cross-section research topics play an important role in each of the four materials fields (steel, non-ferrous metals, polymers, ceramic). Advanced materials 2.0 means a next generation of materials with new features, also new hybrid materials with new applications. Advanced materials 2.0 presents the biggest share of all cross-section topics, followed by sustainable materials and recycling. The third rank goes to continuous materials improvement followed by innovative flexible manufacturing processes and then energy efficiency in production. Testing for materials and production and modeling and simulation are also important cross-section topics. Besides the long-term verified scenario planning, this specific foresight proves that a very well‐developed concept can be a key success factor for the whole process. 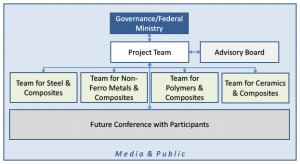 The excellence in each of the three aspects of the concept, methodology expertise, materials expertise, and network and knowledge about the stakeholders in materials industry, in materials science, as well as in politics and how one can get support from the most influential people is one of the building blocks for the success of this project. 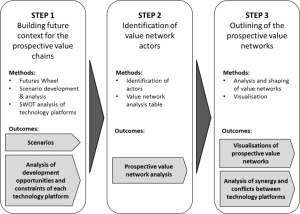 The three aspects in figure 3 were well represented in the project with the Austrian Society for Metallurgy and Materials (ASMET) with focus on experts and stakeholders networks, the Montanuniversität Leoben with the competence in materials, and the AIT Austrian Institute of Technology with methodology experience. However, the cooperation of all three organizations and the willingness to learn from each other made the project successful and strengthened the “materials” community. Furthermore, the project could help to create awareness in this community as well as in the funding agencies and the ministry for what is already funded and supported by the national funding system, and also for what is still missing in the funding programmes. A follow-up project will be dealing in particular with working out and assessing research and project ideas with the potential for disruptive innovation. The addressed community during the foresight is also supporting the impact for disruptive innovation in the future. Hörlesberger, M., Kriszt, B., Hribernik, B. (2015). 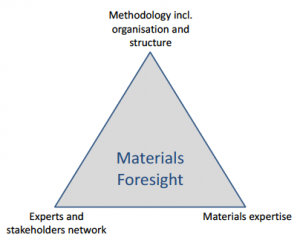 Foresight for the Enabling Technologies Materials. In: Pretorius, L., Thopil, G., (eds.) Graduate School of Technology Management, University of Pretoria, Proceedings of the 24th International Association for Management of Technology Conference, 08th – 11th June, Kapstadt, pp. 449-464. Cuhls, K. (2012). Zukunftsforschung und Vorausschau. In: FOCUS‐Jahrbuch 2012. European Foresight Platform (efp). ForLearn. http://www.foresightplatform.eu/community/forlearn/. Geschka, H.; Von Reibnitz, H. U. (1983). Die Szenario‐Technik ‐ ein Instrument der Zukunftsanalyse und der strategischen Planung. In: Töpfer, A. und Afhelt, H. (Hrsg. ): Praxis der strategischen Unternehmensplanung; Frankfurt/Main: Matzner; S. 125‐170. Keenan, M. (2002). Technology Foresight: An Introduction, Institute of Innovation Research, University of Manchester, UK. Martin, B. (2001). Technology foresight in a rapidly globalizing economy. Martin, B., R. (2010). The origins of the concept of ‘foresight’ in science and technology: An insider’s perspective. IN Technological Forecasting & Social Change, 77, 1438–1447. Miles, I.; Keenan, M. (2003). 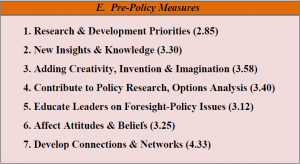 Overview of Methods used in Foresight, in [UNIDO 2003]. Von Reibnitz, H. U. (1992). Szenario Technik: Instrumente für die unternehmerische und persönliche Erfolgsplanung, Wiesbaden: Gabler Verlag. This study was an activity within the framework of Egypt’s Vision 2030 project carried out by the Center for Future Studies in the Egyptian Cabinet’s Information and Decision Support Center. Using Delphi Method, the study aims at identifying, analyzing and foreseeing potentials of Egypt’s water security as ground to thinking of pilot solutions aimed at evading problems and crisis as well as developing a set of procedures whereby Egypt’s water security is attained. The Nile stands as Egypt’s main source of water whereby it secures 80% of Egypt’s water yield per year-according to the 1959 Nile Agreement, Egypt’s fixed quota of Nile water comes to 55.5 billion m3/year. In Egypt, water security tops the national agenda whereby studies reveal that estimations of available water and water needs for different purposes are heading towards an increasing gap between water supply and demand, not only because of the anticipated increase of water demand, but also due to the impact of other factors on the available quantity of Nile water. The study at hand contributes to foreseeing the future of Egyptian water security, by analyzing the impact of varied factors influencing Egypt’s water security in terms of the political, economic, environmental, hydrological, legal and strategic aspects, developing an integrated vision, and forming a new approach for further research in this area and providing comprehensive knowledge. The study applied the “Delphi Technique” – an important qualitative tool of future studies – which relies on collective intelligence and scientific forecasts, by deriving knowledge from a group of experts, directing them to consensus on aspects of the issue at hand, and providing verifications for the relatively extreme positions. This technique was used to identify the main factors of uncertainty that will affect the future of Egypt’s water security, and to forecast potentials of these uncertainty factors, their different expected impacts, and proposed recommendations. A Delphi web site was developed allowing access to 25 experts in the areas of water, economic and political science. The study also used forecasting (futures analysis) which does not seek foreseeing or planning the future, but rather conducts a set of conditional forecasts or scenarios assuming either the reality or desired ones. Hence, the research does not conclude to achieving any of the aforementioned scenarios but aims at allowing societal players to learn about the requirements of achieving one of the desired scenarios according to their relevant preference in order to work on giving it precedence over other alternative scenarios. The regional hydrological system of the Nile basin lacks a comprehensive legal or institutional framework deemed acceptable by all Nile countries because of their conflicting outlook on the legitimacy of the existing agreements and international conventions – the 1929 and 1959 Agreements in specific. Accordingly, countries of the Nile sources divide the River Nile’s water according to the area of River Nile basin passing through the given country, and the contribution of each country to the river’s water yield. However, Egypt and Sudan refuse reviewing the distribution of water quotas in the Nile basin based on calls for justice and equity. Additionally, some of the Nile basin source countries are calling for enforcing the principle of international water sale on the Nile basin system including that Egypt and Sudan, pay financial compensation in return for their water quotas if they wish to maintain them, while Egypt and Sudan refuse this principle on the ground that water is a socio-economic commodity that should not be subjected to market mechanisms. On another level, countries of the Nile basin sources reject the condition of advance notification when developing water projects or taking water measures within their national borders, which is seen as necessary by Egypt and Sudan. External powers, mainly USA and Israel play a crucial role in affecting international water interactions in the Nile basin, and carry out a motivating role for struggle. In this regard, Israel adopts two main strategies: “Quota based system” considering projects involving water that eventually aims that Israel receives fixed water quota from the Nile and “Seizure Strategy” which implies surrounding the Egyptian policy and using water as a pressure card against Egypt and Sudan. European countries, specially Italy, Holland and some Asian countries particularly Japan are playing a motivating role for water cooperation in the Nile basin putting down inclinations towards water related conflicts by providing financial and technical support for a number of water related projects in the Nile countries. Opinions vary on the impact of south Sudan separation on Egypt’s water security. Some opinions perceive minimum negative impact resulting from the separation on the Egyptian water yield from the Nile and others are seriously concerned about the potential impacts. All countries of the Nile sources wish to follow Egypt’s footsteps in terms of cultivating spacious irrigated agricultural areas. However, this type of agriculture requires costly technical expertise. In this context, funding and technical assistance provided through investors, local, regional or international entities might have a hidden agenda for helping poor citizens of the Nile countries, destabilizing some countries and creating tension in a manner that impacts development plans. As a main feature of the Nile basin countries- except Egypt- extreme poverty reflects on the capabilities in terms of providing water related infrastructure. According to 2007 World Bank data, Burundi had the lowest GDP (US$0.97 billion) among Nile Basin countries, whereas annual GDP per capita growth rate was highest in Ethiopia and Sudan at 8.4% and 7.7% respectively. Egypt comes next with a growth rate of 5.2%. Nevertheless, GDP per capita share decreased in Burundi by 0.3% and in Eritrea by 2.3%. If dams are constructed to serve as reservoirs, it is necessary to ensure that the stored water affects Egypt’s water quota in the long term. The most important climate changes affecting the Nile’s water are increasing temperatures which will cause rising rates of evaporation, and changes in the rates, locations and seasons of water fall will cause the loss of quantities of rain that were to be used in agriculture and human consumption in the northern coast. Continuous or aggravated forms and indicators of domestic instability in the Nile basin countries will push them to adopt struggle based foreign policies. It is projected that countries of the Nile basin sources will resort to adopting aggressive foreign policies towards both mouth and stream countries-Egypt and Sudan-every now and then. This is in an effort to divert the domestic public opinion away from internal problems and failures suffered in each country relatively. Given the aforementioned main factors affecting Egypt’s water security, the future of water in the Nile basin will likely be shaped according to three alternative scenarios as follows. The current situation of struggle relations between Egypt and the Nile Basin Countries, will continue but will not escalate to war because of political expertise, and countries of the Nile basin maintain a reasonable margin of rationality with their neighbours. Furthermore, the domestic political, economic and social circumstances of the Nile basin countries will not permit potential escalation of conflicts. According to the outcomes of Delphi survey, a change in the current situation of cooperation or struggle regarding water is unlikely (there were no sharp deviations regarding the potential full cooperation or struggles that may escalate to war over water), where 46%, 38% and 50% is the probability of increasing the normal yield of Nile water before 2030 via cooperation where Egypt develops projects in the Ethiopian Plateau, Equatorial Lakes Plateau and Bahr el Ghazal. But the probability of reaching an agreement on some of the conflict areas by amending the existing legal agreements of the Nile basin countries is 48%. Also, lack of current sufficient funding will affect the ability of benefiting from green water and relieving the pressure off blue water in Nile Basin countries. And in light of the outcomes of Delphi survey, Egypt’s probability of developing projects -in cooperation with donor international organizations-aimed at assisting other countries in benefiting from green water is 49%, 52% and 53% respectively in the Ethiopian, Equatorial Plateaus and Bahr el Ghazal. It is unlikely that the basin countries will experience an economic boom on the short term, since economic development requires stable political regimes and local, regional and international capital, capacity building, technical calibres and improvement of institutions and laws. There is low probability of an impact from the separation of south Sudan on Egypt’s yield of the Nile water, as the new State will be bound by all past conventions related to the River Nile. Needless to mention, South Sudan is advantaged with abundant rain which spares it the need for this water. According to Delphi Survey, the probability of a relevant impact on Egypt’s Nile water supply is 45%. It is likely that climate changes will continue without an impact on the normal yield of Nile water in Egypt, at least during the coming twenty years. According to a study by the Organization of Economic Cooperation and Development (OECD) in 2004, there is limited confidence regarding changes in amount and direction of rainfall on the future on the Nile basin countries. Based on the survey results, the probability that climate changes will move the rain belt far from the Ethiopian, Equatorial Lakes Plateaus or Baher Al Gazal are 40%, 35% and 44% respectively. This is the scenario of optimization of available opportunities for developing shared water resources and building a regional water system capable of securing the needs of the region’s countries without undermining the fixed historical and legal rights of some of the countries. This scenario involves the potential of expanding cooperation areas among Nile basin countries within the Nile Basin Initiative, which includes all ten Nile basin countries, provides an institutional framework for collective cooperation, receives governmental and political support, and pays great attention to projects and mechanisms aimed at building mutual trust among basin countries, as well as capacity building and training projects. There is an increased possibility of establishing water related projects in collaboration with the basin countries via building and connecting dams on a unified electricity network in those countries, aimed at generating power for agriculture and industrial production purposes rather than storing water and assist in regulating water supply to Egypt. Survey results indicate that probability of completing Gongli Canal is 56%, in addition to the possibility of redirecting Congo River to benefit from its water is 60%. Israel will play a motivating role for water struggle in the Nile basin in addition to the indirect role of the USA, where it will work on besieging and pulling the parties of Egyptian policy, on the regional level, in a way that serves coining the American power on the political and strategic levels in preparation for an effective Israeli role. Countries of the upper Nile basin will seek to constitute external coalitions aimed at changing the current situation; these are mainly Ethiopia, Kenya, Tanzania, and Uganda. Separation of south Sudan will be at the expense of projects dedicated to exploiting the wasted Nile water in the Egyptian and joint upper parts, such as the Gongli Canal project. The political tensions in the Ethiopian Plateau will negatively affect the Egyptian water yield as well as failure to implement any proposed projects. According to the survey, the probability of the eruption of a civil war (due to ethnicity, religion, political or tribal affiliation) in the Ethiopian Plateau and bearing an impact on water projects and management is 53% and 57% respectively. Based on the Delphi Survey outcomes, the probability of increased Nile basin countries’ demand for Blue water for agricultural, industrial, drinking, tourism, and fish wealth purposes by 2030 in the Ethiopian, Equatorial Plateaus and Bahr El Gazal Region are 60%, 61% and 59% respectively. As for the probability that those countries construct dams or other projects in the Ethiopian, Equatorial Plateaus and Bahr El Gazal Region-to meet the increased demand for water -that will eventual-ly affect Egypt’s Nile water quota by 2030 are 63%, 59% and 54% respectively. Regional cooperation should depend on balancing the distribution of benefits and duties in the context of a cooperative Win-Win Approach, which will eventually lead to optimizing the benefits among all Nile countries enabling a relevant improvement and development. This ensures avoiding the struggle scenario, and can be supported by developing the mutual dependency mechanism between Egypt and Ethiopia via joint projects where Egypt provides the technical expertise in irrigation currently being provided by Israel. The mutual dependency mechanism between Egypt and Sudan, in light of separation, can be achieved through establishing strong ties with both north and south via joint cooperation in agriculture, power production, health, education and industrial projects in addition to military. This entails developing railways, river naval lines and unified electricity networks, and that Egypt grants southern citizens all advantages equal to Sudanese citizens in terms of education, work, residence, and entry into Egypt, and redrafting the projects to exploit wasted water in the upper Nile in Bahr El Gabal, Bahr El Gazal, and Mashar Swamps situated in south Sudan. This entails that Egypt: cooperates with the international donor organizations for developing projects in the source countries, transfers agriculture technologies to all Nile basin countries by availing technically qualified irrigation and agriculture engineers, and developing rain harvest technologies and introducing selected seeds and chemical fertilizers. This should be in charge of monitoring changes immediately, analysing indicators and presenting relevant plans. In the event of any internal political tensions in the Nile basin countries, Egypt should adopt a neutral position, stimulate mediations in ethnic and border conflicts taking place in the Great Lakes and African Horn regions to evade the potential sensitivities that might emerge due to aligning with any of the conflicting parties. It is recommended that Egypt carries out development projects in Nile Basin countries and cooperates with international organizations in areas of improving health care, and eradicating Endemic diseases that affect public health and consequently productivity. Developing a local model for forecasting the impact of climate change on the Nile basin water yield, in cooperation with the British Meteorology Office. Type: National Technology Foresight Exercise based on desk research and expert opinion. Ayman Alsayed Abdul Wahhab (editor), “River Nile Basin: Cooperation opportunities and problems” (Cairo, Al Ahram Center for Political and Strategic Studies, 2009). Mohammad Salman Taye`a, Water Security in the Arab Gulf in a Changing World: between Prerequisites of National Interest and Addressing External Threats, Middle East papers, National Center for Middle East Studies, Vol. 38 October 2007. Atlas of international agreements on fresh waters, UNEP, FAO, and Oregon University, 2002. H.J.Brans (ed. ), The Scarcity of Water: Emerging Legal and Policy Issues, London, The Hague, Boston, Kluwer International, International Environmental Law and Policy Issues, 1997, 21-39. Theodore J. Gordon, The Delphi Method, future research methodology – V2.0, AC/UNU Millennium Project.